Your PopCulteer was snowed in this week. Not by actual snow, but by paying work and computer issues. So this week the PopCulteer is going to be quick random stuff that I crank out off the top of my head. First off, despite the looming deadlines, Mr. and Mrs. PopCulteer had a wonderful Valentine’s evening. 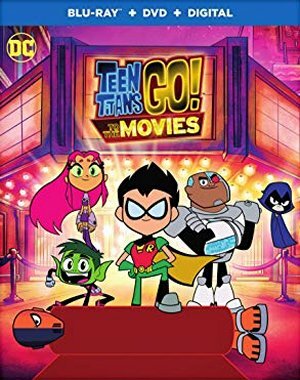 We watched one of my gifts from my lovely wife, Teen Titans Go To The Movies, which was hilarious and a real treat for any comic book nerd. Plus, it’s nice for this DC fan to see that Stan Lee’s final cameo released while he was still living was in a DC movie. Seriously, comic book fans will want to watch this repeatedly to catch all the obscure riffs and references, from people not knowing The Challengers of the Unknown, to pranking Swamp Thing to spoofing the entire idea of super hero movies. They even get in digs at Deadpool, the Marvel character and hit movie, which was ripped off of the main villain used here, Deathstroke. I think I surprised my wife though, when a block of about fifty names came up under “special thanks” in the credits, and I was able to tell her what each one of them had done, especially since some of them created characters who were only seen on screen in the background for a few seconds. After that we watched Christopher Guest’s Mascots, which debuted on Netflix back in 2016, before we subscribed to the service. It’s in the format of Waiting for Guffman and Best in Show, but this time set at a World Mascot Competition. It’s pretty hysterical in places, if quite a bit gentler in its approach than Guest’s earlier films. The film was unjustly panned when it came out. The truth is it’s a good addition to Guest’s mockumentary oeuvre. Some of his regular crew are on hand, like Parker Posey, Fred Willard, Bob Balaban and Jennifer Coolidge, plus there are newcomers like Chris O’Dowd, from The IT Crowd and Get Shorty. An added bonus is that Guest reprises his role as “Corky St. Clair” from Waiting For Guffman. We got a kick out of it, and kept wondering if Dale Morton knew about it. Two great, fun movies, Graziano’s pizza and Valentine’s cake made for a nice, laid-back evening. Meanwhile, your PopCulteer is also gearing up to bring you reports from Toy Fair this weekend. I’ll be posting some longer reports, but I’ll also link to some other great online sources and epic photo essays from folks on the scene. And with that, after a long week with many deadlines, we will put this brief PopCulteer to rest. Check back all weekend for our regular features and our bonus Toy Fair coverage.